If you cannot find the answer to your questions here, please contact us. Short Message Service. It is a standard feature of the GSM protocol (used by most mobile phone networks around the world), and allows messages of up to 160 characters to be sent to mobile phones. How many 'credits' does one message cost? 1 Message = 1 Credit. Each message sent costs the same (1 credit), to any network, regardless of destination country. The average delivery time through our service is under 4 seconds! Standard SMS messages may be up to 160 characters long, however by activating the 'long SMS' feature of Kapow it's possible to send concatenated SMS messages of up to 1377 characters in length. How can I send an SMS with the Kapow Service? There are a number of sending methods that we support and it's also possible for us to provide bespoke interfaces to suit your requirements. The most commonly used methods are; Email-2-SMS (SMTP), HTTP Get / Post Request, or sending directly from our website. More information can be found here. Some companies add a 'tag' which advertises their company; this also eats in to the 160 character limit. We do NOT add any text to your	messages. How many mobile phone numbers can I send to in one 'batch' broadcast? You can send as many messages as you like; as long as you have enough credits available. However, we suggest breaking huge batches in to blocks of 150,000 messages or less (as this helps to avoid the risk of HTTP Server timeouts). Can I send messages abroad? Yes you can. Although we focus primarily upon the UK, we provide coverage to over 500 networks in more than 200 countries worldwide. Please contact info@kapow.co.uk for up-to-date routing information. 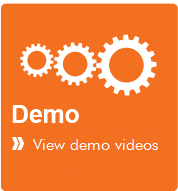 We can also provide a demo account if you would like to test sending to a specific country. Will the numbers I send to be used by Kapow or any third-parties? All the numbers and messages that you send are treated in the strictest confidence. We will never use them or share the information with other companies. Yes. 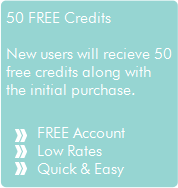 You automatically receive an email when less than 50 credits remain. You can change this to a higher or lower number if you wish. The from-id is the originating number (or alpha string) that appears on the recipients phone. It can be either a full phone number, or an alpha string of up to 11 characters. For example, it could be your mobile/office number, your company name or website address. You can change the from-id for your account by ordering online. There is a charge for this service. By default it is set to 'Kapow.co.uk'. What format should mobile numbers be in? Ideally mobile numbers should be in International format without the leading '00' or '+'. For example; 447xxxxxxxxx or 35387xxxxxxx. For UK numbers, it is also possible to supply them in the 'local' format. For example; 07xxxxxxxxx. There should be no spaces or other symbols within numbers. Why can't I set up a wildcard (i.e. *@domain.com) as a 'trusted e-mail address' on my account? We do not allow wildcard addresses as 'trusted e-mail addresses', as in the past this has caused problems. For example a user adding *@hotmail.com would give all users of hotmail access to our service. Each message would be billed to their account. Where an existing user had added an address at the same domain, the system would no longer be able to identify which of the two accounts should be	billed. If you wish to add a lot of addresses to your account, then we will happily add them for you. Simply email the list to your account manager. Why have I received multiple copies of a message? In rare circumstances a message may be received more than once. This is most likely to occur when 'roaming' on a foreign network, or in	a very bad-signal area. If neither of these statements is true, then you should check that you are not sending multiple copies to Kapow by mistake. You must log-in and select 'Buy Credits'. The quickest way to purchase credits is with a credit/debit card, simply follow the steps	on the website. You may also pay by cheque or bank transfer. For either of these methods you must contact us and quote your username and what you wish to purchase. You will then be sent a pro-forma invoice. Once payment is received your credits will be added. Technical support is available from help@kapow.co.uk, or by calling 0207 1 835 835 during	extended office hours. We have technical staff available 24 Hours a day should you notice a problem with our service. 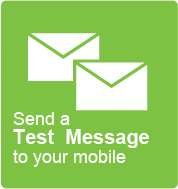 We were the UK's first SMS Gateway, and have over 24 years of experience. Our dedication to delivering reliable, high-speed SMS messaging makes us the best choice for you. Read what some of our clients have to say about us (Client Testimonials).